A group of Indian and American researches simulated soil moisture content during major Indian famines to come to the conclusion. 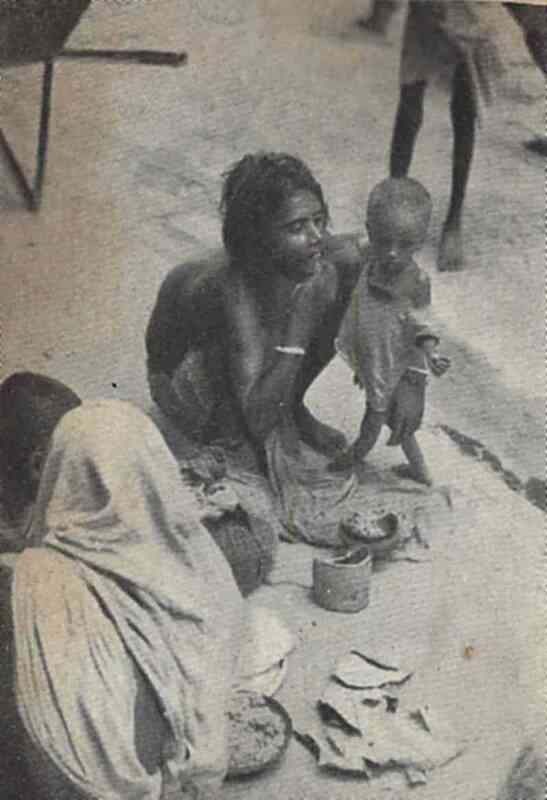 The 1943 Bengali famine was caused by then-British Prime Minister Winston Churchill’s policies and not drought, a group of Indian and American researchers have found in a study published in the journal, Geophysical Research Letters. The researchers came to this conclusion by using weather data to simulate the amount of moisture present in the soil during six major Indian famines, those of 1873-’74, 1876, 1877, 1896-’97, 1899 and 1943. Deficit of soil moisture is a key indicator of poor rainfall and high temperatures. According to the study, the first five famines were a result of drought, as concluded by the soil moisture study, but not the one that happened in 1943. Mishra, an associate professor of Indian Institute of Technology, Gandhinagar, has co-authored the study, along with Amar Deep Tiwari, Saran Aadhar, Reepal Shah, Mu Xiao, DS Pai and Dennis Lettenmaier. 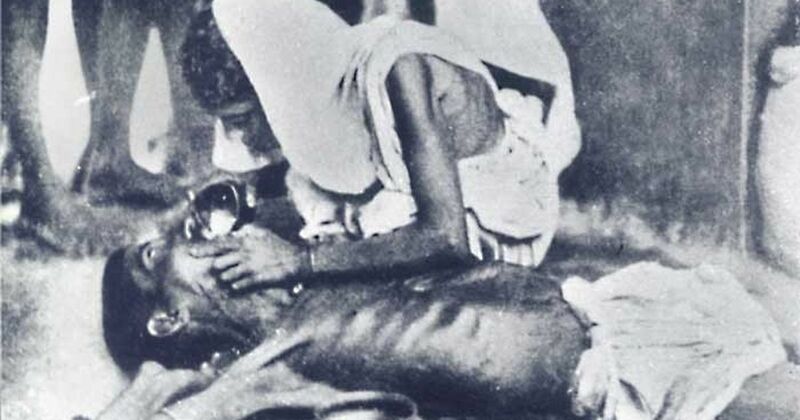 The 1943 Bengal famine led to the deaths of an estimated three million people, and is widely believed by several historians to have been caused or made worse by British policies of the time. The study showed that though the eastern region of India experienced severe drought in the early-1940s, the amount of rainfall was above average in late-1943, a period considered to be the peak of the famine. The British policies alleged to be the cause of the famine were the heavy distribution of food and vital necessities to the military during the second world war, halting import of rice, and the British government not declaring famine in India. A destitute mother and child on the sidewalk in Calcutta during the Bengal famine of 1943-44. Courtesy Kalyani Bhattacharyee, and Sj. Manoj Sarbadhikar/Wikimedia Commons. According to the study, another factor that exacerbated the mortality count of the 1943 famine was the Japanese capture of Burma (now Myanmar), which was a major source of rice imports in India. The study noted that in the past, famines, despite being deadly, could not cause much damage due to rice imports from Myanmar and the British government’s relief aid. Speaking to CNN, Mishra said that during the 1873-’74 famine, the Bengal lieutenant governor, Richard Temple, saved many lives by importing and distributing food. But the British government criticised him and dropped his policies during the drought of 1943, leading to countless fatalities. That the 1943 Bengal famine was a result of wilful negligence by the British government was accepted and believed strongly across India for quite a while. In 1981, Nobel Prize-winning economist Amartya Sen said that supplies should have been in abundance during 1943 to control the deaths brought about by the famine. Winston Churchill and the 1943 Bengal famine. 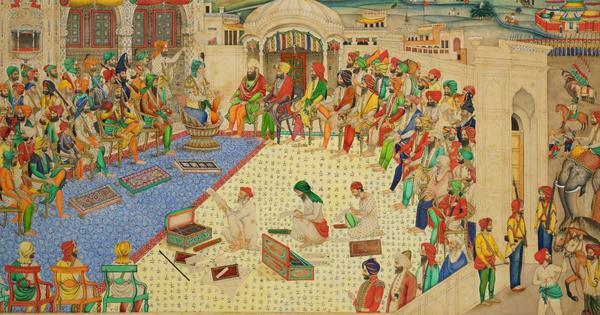 Madhushree Mukherjee’s 2011 book, Churchill’s Secret War: The British Empire and the Ravaging of India during World War II, notes that the famine was caused by heavy exports of food from India. As the famine got worse, she wrote, 70,000 tons of rice were exported from India between January and July, 1943. Despite Churchill’s War Cabinet being warned about the famine at the time, Mukerjee wrote, the British Prime Minister was reluctant to devote time and resources to fix the Indian problem, and instead, strengthen his military operations and accumulate stocks at home. 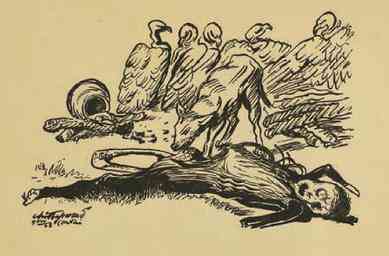 Image of Midnapore famine victim from Chittaprosad's Hungry Bengal, five thousand copies of which were burned by Indian police. Courtesy Wikimedia Commons. In 2017, Congress MP Shashi Tharoor said about Churchill, “This is a man the British would have us hail as an apostle of freedom and democracy, when he has as much blood on his hands as some of the worst genocidal dictators of the 20th century.” He chronicled the havoc wreaked by the British empire on India in his book, Inglorious Empire. Since independence, India’s population has increased manifold, but famine deaths have been brought under control. “Expansion of irrigation, better public distribution system, rural employment, and transportation reduced the impact of drought on the lives of people after the independence,” Mishra’s study said. The revelations of Mishra and his fellow researchers’ study vindicated several Indians as well as others, as seen on Twitter. One user questioned the validity of a study complimenting Churchill as a human rights crusader. Need to calculate how much “3 million Indian lives” converts to in Western lives and see if it’s enough to make people reevaluate his legacy. Indians have been forever saying Churchill was a flaming bigot. His racist policies killed 3mn in a single year - it was among the swiftest genocide. 75 years since the Bengal famine: How much was Churchill’s bias to blame for the death of millions? Who was the photographer who took these dehumanising images of the Madras famine?